If you’re looking to join some of the most elite agents, brokers and thought leaders in the luxury real estate sector, then you’re in luck. 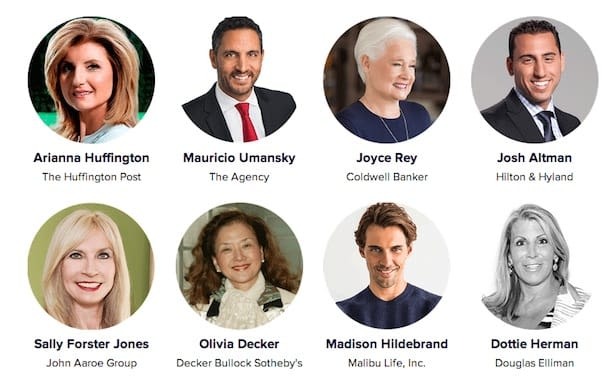 The 2014 Future Of Luxury Conference is kicking off on October 23rd at the famous Beverly House in Beverly Hills and this year’s speaker list is mind-bogglingly good! This event is only open to 100 lucky people and while tickets are on sale, you’ll have to act fast. It can be tough to successfully break into the luxury sector in your area, as even established agents are in for a tough fight in that competitive market, but this conference is just the kind of thing that can give you an edge over your competition. Just take a look at a small sampling of the guest speakers set to take the stage during this year’s event! The event will have a heavy focus on the role of technology in the luxury real estate industry and how to connect with an affluent, global consumer base. Those who are able to tap into this market correctly will build a business to last a lifetime! Individual tickets to this event are going for $749 USD, and you can get discounts by ordering tickets for your team.